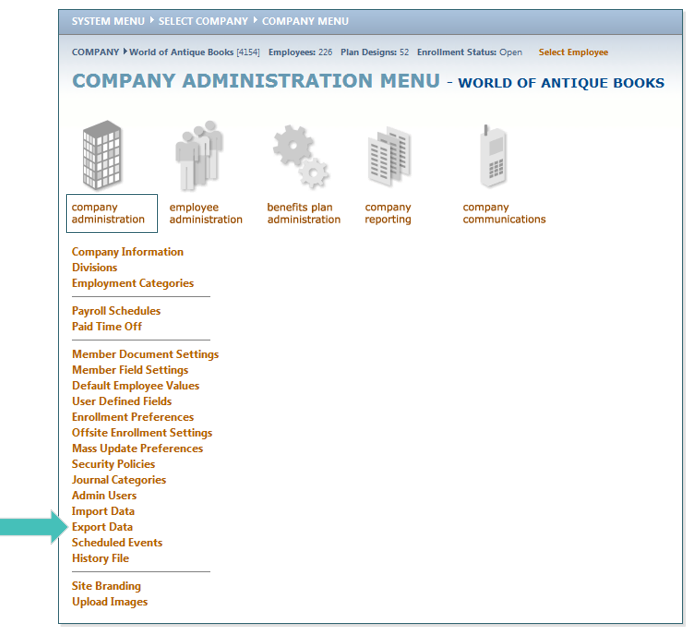 Click Company Administration and then click Export Data. Select the Record Type you would like. 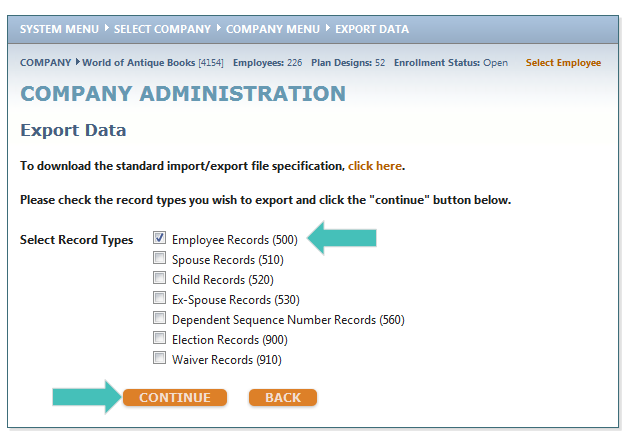 For this example, we will select Employee Records (500). Then click CONTINUE. Choose from the criteria below to gather the information you would like to pull. For current information, as of today, enter today’s date in Select Date Span or select the date span you wish to review. Then click PROCESS. 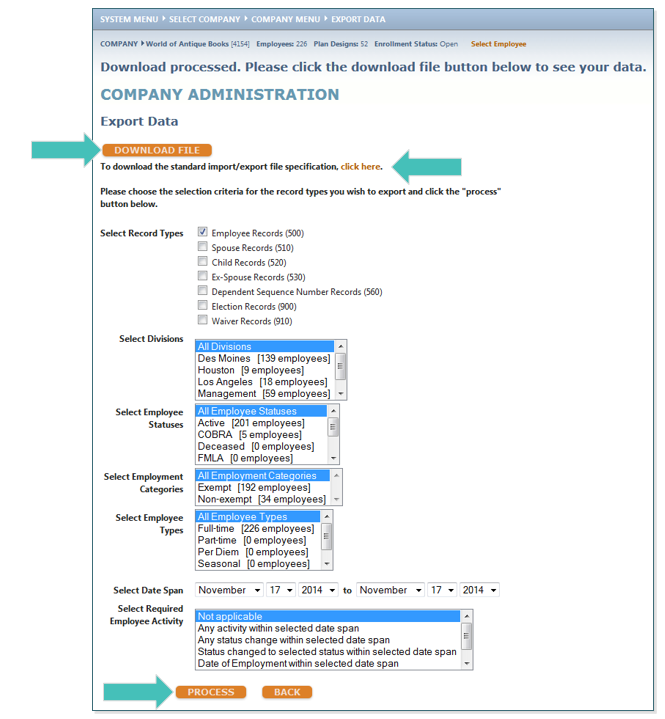 To get the 500 Excel template, which you will need to paste your downloaded census into, click on the click here. Select 500 Upload - Census EE to open. 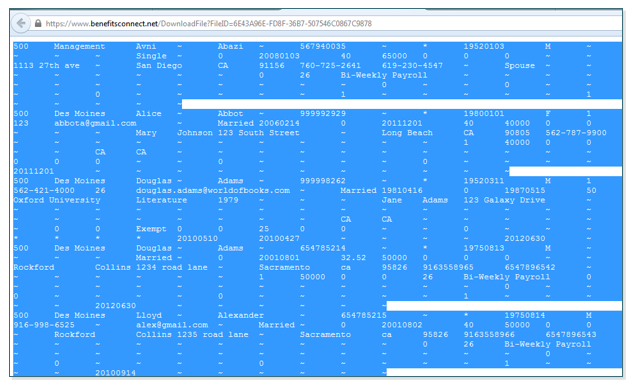 Once you have the document opened, minimize it and return to the open benefitsCONNECT™ page. Click on the DOWNLOAD FILE button. A web document will open. Right click on the document and click Select All. 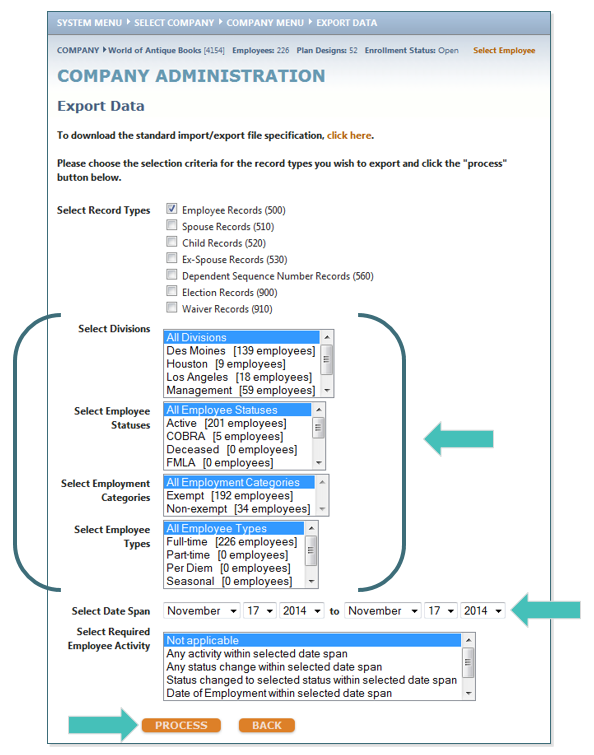 Once the document is highlighted in blue, right click again, and click copy. TIP: Or you can use the keyboard shortcuts of CTRL+A to select all and CTRL+C to copy. Go to the 500 Upload Excel template you opened, right click in the first box with the “500” in it (3A), and select the Paste Special option and then select Text. 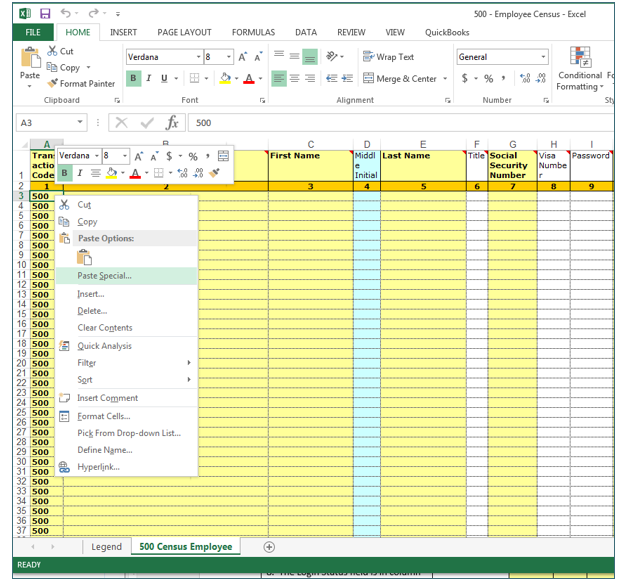 TIP: You must paste the copied document as Text into the Excel template. Your Data has now been exported successfully.